Born in Newport, Monmouthshire, Wales on 28 April 1848, son of James and Sarah Horner. His musical talent was apparent at an early age, and by the age of 11 he was accompanist to the Newport Choral Society. From 1864 to 1867 he studied at the Leipzig Conservatorium. In 1868 he settled in Camberwell, London, England, where he taught piano, singing and harmony. He was appointed as conductor of the Peckham Choral Society, and Choirmaster at St Mary’s Church, Peckham. He was Conductor of the English Opera Company for seven years, and from 1879 to 1887 he worked for the D’Oyly Carte Opera Company, directing performances of Gilbert and Sullivan operettas throughout the country. In 1887 he took the position of Musical Director at the Strand Theatre in London. In 1869, he married Marianne Amelia Rouse of Newport and they had three sons and a daughter. In 1888 he was appointed as Lecturer in Music at Nottingham University, where his students included the composer Eric Coates. He conducted the Nottingham Amateur Orchestral Society, Nottingham Operatic Society and Nottingham Philharmonic Choir, and also served as Choirmaster at Nottingham Central Mission. 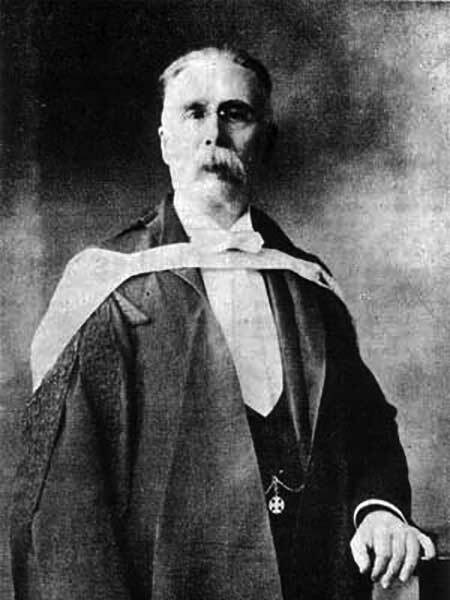 In 1893 he graduated with the degree of Bachelor of Music from Durham University, and in 1898 as Doctor of Music (Durham). In 1906 he moved to New York, and in 1909 to Winnipeg, where he was appointed as Director of the Imperial Academy of Music and Arts, a position he held until 1911. From 1909 to 1914 he was also music editor of the weekly Winnipeg Town Topics, to which he contributed articles on a wide variety of musical matters. From 1909 to 1912 he was conductor of the Winnipeg Oratorio Society. In 1911 he founded the Horner Opera Company, which in that year produced his opera The Belles of Barcelona. Except for a break during the years 1916 to 1917 when he served as a Bandmaster in the Canadian Army, he continued to direct the company up to the time of his death; its repertoire included many of the most popular works of Gilbert and Sullivan. In 1921 he was appointed as conductor of the Capitol Orchestra, and as organist and choirmaster at St Matthew’s Anglican Church. He served on the Council of the Canadian Guild of Organists. He was a founding member of the Men’s Musical Club in 1915, and served as its vice-president during its inaugural year. His compositions include Amy Robsart and Belles of Barcelona (operas); David’s First Victory and St Peter (oratorios); Confucius (1888 - dramatic cantata); 6 operettas, several sacred cantatas and anthems and a symphony; A Fairy Overture, Intermezzo in B Major, Overture ‘The Viking’s Revels’, and Torch Dance (orchestral). The latter work won an Earl Grey Prize. He wrote many piano pieces, and more than 100 songs, some published by Reeder & Walsh, Weekes & Co & by Edwin Ashdown, all of London. The composer however has no entry in Michael Pilkington’s British Solo Song (2003). He died in Winnipeg on 7 April 1926 at the age of 77. His wife died in Winnipeg in 1915. His music has long disappeared without a trace and, at present, nothing appears to remain in print. The manuscript of one opera apparently survives in the Boston Public Library, and manuscripts of a number of songs are in the British Library. What survives in Winnipeg is a strong tradition of performance of the works of Gilbert and Sullivan, and this probably owes something to his influence all those years ago. He is not to be confused with Ralph Horner of Toronto, who also wrote religious music. This page was prepared by Keith Jones and Gordon Goldsborough.